I found StumbleUpon while at University. It was something to do on those lazy days where you didn’t quite fancy getting out of bed, let alone leaving your room! It was so easy to use. Just create an account, select a few things you’re interested in and click Stumble. You then get to discover thousands of photos, videos and webpages about your selected interests! Not only could you use it to find new things, but each new thing you could like or dislike. This helps the site learn more about what you like to see and changes what it shows you. It really is a brilliant way to kill time! Okay, so now you might be wondering why I am telling you this. Well I have recently rediscovered StumbleUpon. Last week (14th) I published my Dissertation Infographic post. Later on in the day I checked my blog stats and found that I have received 21 refers from StumbleUpon. On clicking on the link in my stats, I was taken to a page on StumbleUpon telling me that someone had shared my page on StumbleUpon and that was how people were finding it. It doesn’t tell you exactly what page was shared, but the URL I was taken to had dissertation Infographic in it and that blog post had received a lot of views that day! Since then I have had varying traffic from StumbleUpon on my website. At the weekend Sophie Tunnah published a blog post about a new group she had created on Facebook for Equine Bloggers. The aim for this group is to help equine bloggers network and encourage us to work together to improve each other’s reach. If you are an equine blogger, you should really have a look! Part of this group is a weekly thread SundayStumble. This is basically a post where you leave a link to a post you want added to StumbleUpon and everyone then goes and likes it on StumbleUpon, which means it will be found more often (I think) and therefore you will generate more traffic to your blog. I took part in this this week and in the first day I had 74 visitors from StumbleUpon. That is more than I get in total on average per day! So as you can clearly see, this is a fantastic way to improve your traffic. I am now working on adding more and more of my pages to StumbleUpon. However, it is recommended for the best results that you need to add 10 other pages for every 1 of yours. So I am also spending a lot of time reading new content to like/dislike which not only improves my StumbleUpon Account, but also helps me keep in touch with the industry. 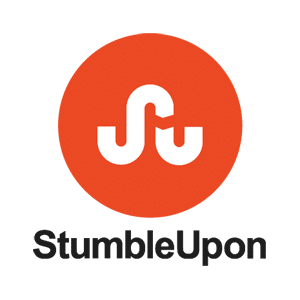 If you are a blogger of any kind, I recommend getting yourself on StumbleUpon. It’s free and easy to use and can really improve your traffic. If you can work out how to search for and follow people (I haven’t yet) you can follow me as @EquiPepper. It’s often forgotten about, and I too rediscovered it this year. It’s a good source of traffic and the more you can use it, the more it learns about the content it shows you!